Robin Cooks Funeral, originally uploaded by alister. 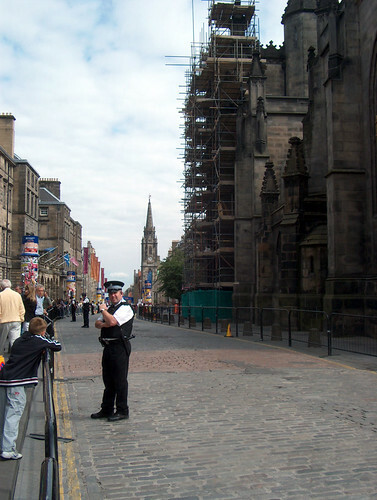 The Royal Mile is cleared of festival fringe performers for the funeral of Labour politician Robin Cook at St.Giles Cathedral. I'm not sure what all the fuss about Tony Blair not being there is, why go to the funeral of someone who was your enemy and everyone knew it?